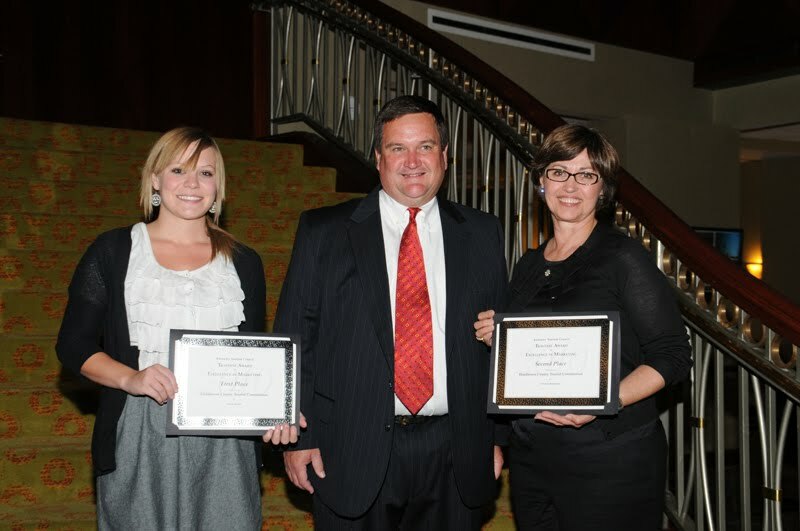 The Henderson County Tourist Commission received two awards in the 2010 Kentucky Tourism Council Traverse Awards for excellence in tourism marketing. The Tourist Commission received first place in Social Media and second place for their Visitor’s Guide. Both awards were received Tuesday October 19 during the Traverse Gala held at the Northern Kentucky Convention Center in Covington, Kentucky as part of the 2010 Kentucky Tourism Industry Annual Conference. Kentucky tourism businesses and marketing organizations vie for awards in 20 separate categories during the annual competition produced by the Kentucky Tourism Council. A panel of out-of-state experts judged over 240 entries from across the state for this year’s presentation of awards. Traverse Awards for Excellence in Tourism Marketing are open to Kentucky Tourism Council and Kentucky Hotel & Lodging Association members marketing a tourism product or service in Kentucky. All entries must have been published or distributed within the past year. Each entry is judged for concept, creativity, design and how well it relates to its audience. The Henderson County Tourist Commission is located at 101 N. Water Street in The Depot. The staff provides the latest information on events and attractions in the area, and assists with planning and coordinating new and existing events in the area to attract new visitors. In 2009, tourism was a nearly 67 million-dollar industry in Henderson County. 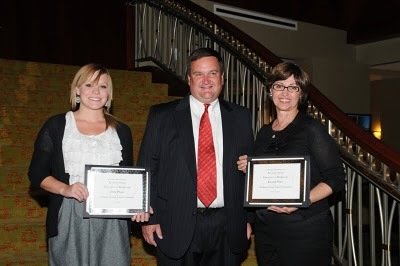 Photo: Executive Director, Marcia Eblen and Marketing Assistant, Jessica Heacock, of the Henderson County Tourist Commission, stand with Clay Campbell, Kentucky Tourism Council Chairman of the Board, to accept their awards. I recognize the last name of the Marketing Assistant… congrats to her for the Riverfront pic I 'borrowed' earlier! Kudos. dd.